We choose to provide you with optimal care from a registered specialist endodontist when it comes to all your complex endodontic needs. Endodontics is a highly specialised field that focuses on the treatment of the tooth pulp (containing blood supply and nerves) and the tissues surrounding the root(s) of a tooth. When the tooth pulp becomes diseased or injured, root canal treatment performed by your endodontist will allow the tooth to be saved, thereby maintaining function and aesthetics. Endodontists are registered specialists who perform a variety of procedures, including root canal treatment and retreatment, internal whitening, treatment management of cracked teeth and treatment of dental trauma. 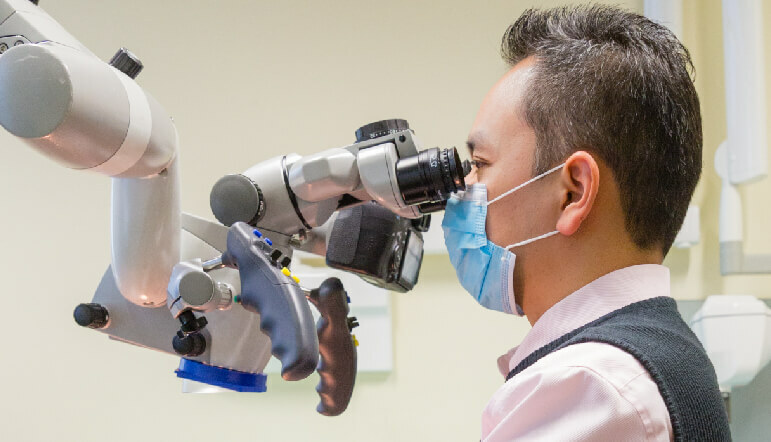 At Smile Solutions our resident endodontists work closely with our general dentists to provide the best possible dental treatment at the highest standards. Why See an Endodontist instead of a General Dentist? When it comes to all your complex endodontic needs, such as root canal treatment, we choose to provide you with optimal care from registered specialist endodontists. 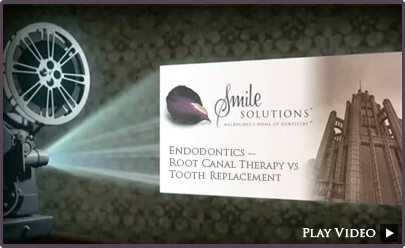 Endodontists are specialists in diagnosing and treating the pain caused by toothaches, damaged or diseased teeth. They hold a degree in general dentistry as well as a postgraduate degree in endodontics. The latter involves a further three to four years of advanced education specific to endodontics. While some general dentists can perform root canal therapy, additional specialist training and experience go a long way towards increasing the likelihood of treatment success in this field. 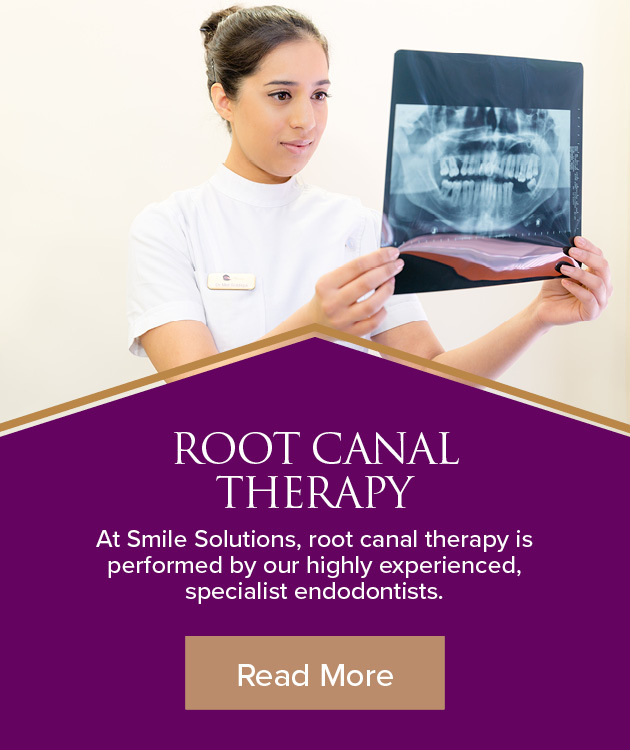 At Smile Solutions in Melbourne, all your root canal–related treatment requirements will be taken care of by our highly experienced, registered specialist endodontists. Root canal therapy, or root canal treatment, is the procedure used to save a tooth with a dead, dying or inflamed pulp (also known as the nerve). If a tooth is cracked, is traumatised or has a deep cavity, the pulp can be exposed to bacteria and can become inflamed or infected. Advanced progression of infection within the root canal system results in the pulp eventually dying. With inflammation or infection of the tooth pulp, your tooth may be very sensitive to high or low temperatures and may be painful to chew on, and there may be a continuous, throbbing pain associated with swelling. If the infection is left untreated, there can even be a systemic spread of infection to the surrounding areas (such as the face and eyes). In these circumstances there are two options. Your clinician could extract the tooth, or they could save the tooth with root canal treatment, the latter being by far the preferred option. To find out more visit our root canal therapy page. Who Would Provide my Endodontic Treatment? At Smile Solutions we have an experienced team of specialist endodontists on hand to perform your endodontic treatment. Dr Gregory Tilley is a registered specialist endodontist, trained in Melbourne and is a Fellow of the Royal Australasian College of Dental Surgeons. Gregory trained in Melbourne, gaining his Bachelor of Dental Science from the University of Melbourne, followed by his Licentiate of Dental Surgery (Victoria), in 1972. 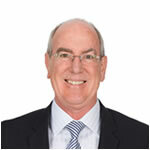 He is a Fellow of the Royal Australasian College of Dental Surgeons in both endodontics and restorative dentistry. 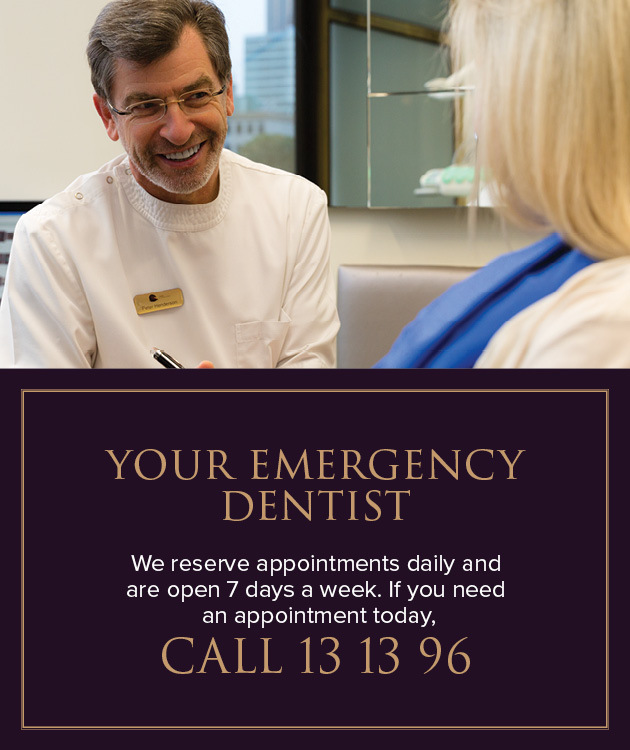 Dr Tilley practised as a general dentist until 1979, after which he began practising as a specialist endodontist in Tasmania and Victoria. He has more than 35 years’ clinical experience in the field, most recently in the overall management of complex cases. He is an Honorary Senior Fellow at the University of Melbourne, where he is involved in the supervision and mentoring of endodontic specialists in training for well over 20 years. He has lectured widely overseas and consults on an international committee for the development of endodontic instruments and materials. A past president of the Australian Dental Association (Victorian branch), Dr Tilley is also a member of the American Association of Endodontists, the Australian Society of Endodontology and the Australian & New Zealand Academy of Endodontists. 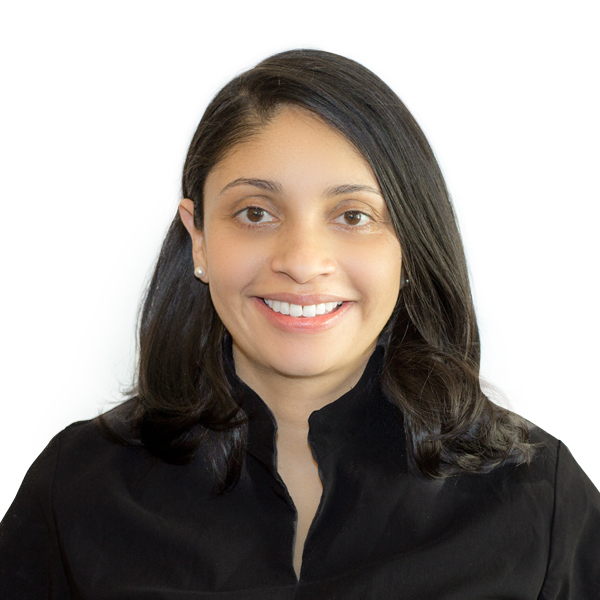 Dr Artika Soma is a registered specialist endodontist with the Dental Boards of Australia and New Zealand. Dr Soma was born and raised in the Fiji Islands. As recipient of the prestigious Equity & Merit scholarship, she moved to New Zealand to study for a Bachelor degree in Dental Surgery. She graduated from the University of Otago, New Zealand, in 2004. Dr Soma worked in the endodontic department at the Sydney Dental Hospital from 2005 to 2006, during which time she was also involved with teaching in the Faculty of Dentistry and decided to specialise in endodontics. In 2009 Dr Soma graduated with a Doctorate of Clinical Dentistry (DClinDent), specialising in endodontics, from the University of Otago, New Zealand. While in New Zealand, she was involved with undergraduate teaching and worked part-time in a private general dental practice limited to endodontics. 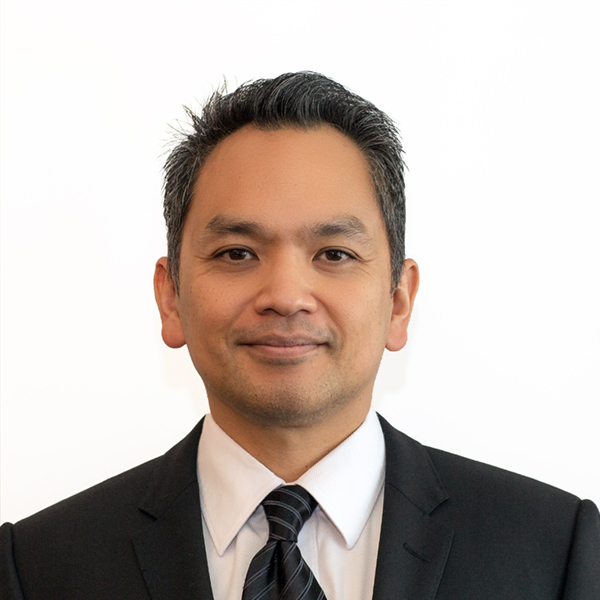 Dr Soma moved to Melbourne in early 2010 and has been working at the Royal Melbourne Dental Hospital and in a private specialist endodontic practice since March 2010. Dr Soma is a member of the Australian Dental Association, the New Zealand Dental Association and the Australian Endodontic Society. She is actively involved with endodontic education and is currently a lecturer in Endodontics for the Doctor of Dental Surgery Endodontic program at The University of Melbourne, clinical demonstrator for La Trobe University, mentor and examiner in the Membership (GDP) program for RACDS. In 2013, she was awarded the Australian and New Zealand Academy of Endodontics (ANZAE) JM Booth award to attend the IADT Trauma Congress in Istanbul. 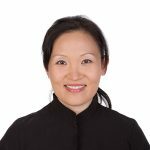 As part of her specialist training, Aovana worked in emergency services at the Royal Dental Hospital Melbourne and provided endodontic treatment for patients of Plenty Valley Community Clinic and Melbourne Dental Clinic up to 2016. She has published papers in Journal of Endodontics and Australian Dental Journal and is a reviewer for the international journal Dental Traumatology. Aovana has an interest in languages and is fluent in Mandarin (Chinese).